Applications Reactor feed, Boiler feed, Felt cleaning, Edge cutting, Condensate injection, High pressure cleaning in food processing, Packaging, Filter press cleaning, Descaling, High pressure showers for quenching, High pressure coolant feed, Leak testing engine injector testing, Reverse osmosis, High pressure cleaning of tanks, trucks and trains, Injection for secondary recovery, Desuperheating. The Combitube pumps can operate reliably at any point on the performace curve unlike centrifugal pumps which naturally have a more restricted operating range down to Minimum Safe Flow. 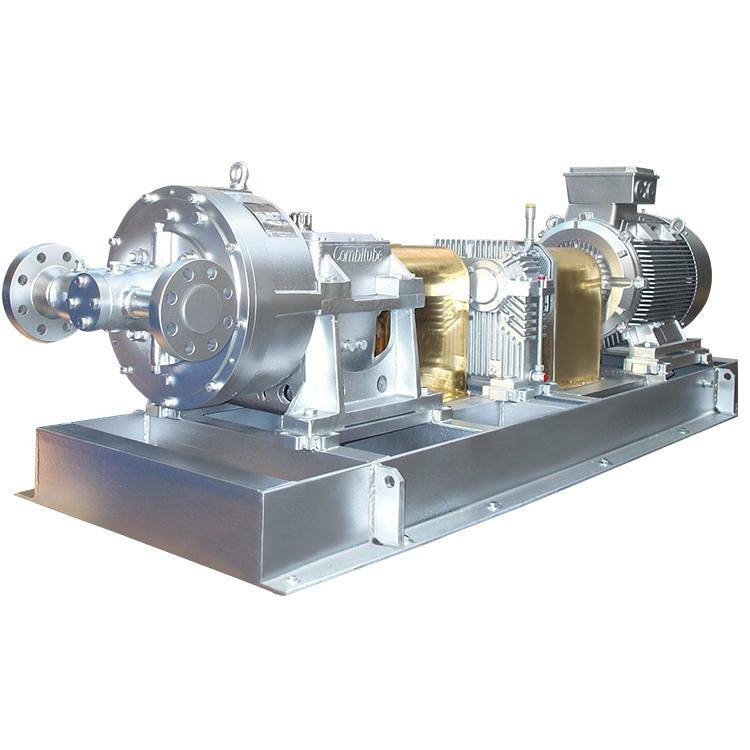 The main characteristic of this pump is its no impeller technology. The Combitube pump range has been designed to incorporate the best features of pitot tube technology whilst improving the overall design, reducing part complexity and cutting life cycle costs. This results in the benefits of lower maintenance, a reduced requirement for spare parts, enhanced reliability and therefore reduced “life-cycle” costs. All of which lead to increased customer satisfaction, and give an enhanced ownership experience.